This week in video game news has been dominated by rumors and reports about Microsoft and Nintendo teaming up in 2019 for some pretty big stuff. 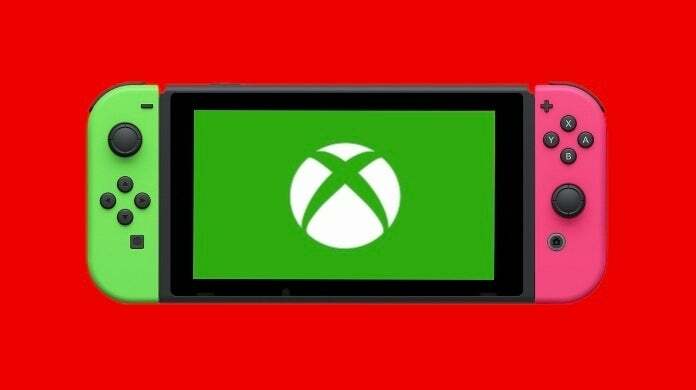 It all started on February 21, when Direct-Feed Games revealed that Microsoft is bringing Xbox Game Pass and an Xbox app to the Nintendo Switch this year. Not long after this report surfaced, a few other outlets and reporters chimed in backing the claim, including most notably Game Informer. Across these reports, was also word that Microsoft was looking to bring some of its first-party games to Nintendo Switch beyond Game Pass, starting with Ori and the Blind Forest. Then, French outlet Jeuxvideo chimed in with even more information. According to it, yes, Microsoft is planning on bringing its first-party games to the Switch, starting with Ori and the Blind Forest. But that's not all. Alongside Ori will be 2017's indie hit Cuphead. Further, Microsoft is apparently having on-going discussions with Nintendo about bringing some of its bigger franchises to the Switch, such as Halo, Gears of War, and Forza. In other words, there's been a lot of smoke signaling that there is indeed something big happening between Microsoft and Nintendo this year, but for now all we have is unofficial reports and rumors. That all said, Vice President of Xbox Mike Ybarra recently took to Twitter to somewhat cryptically and cheekily tweet about the recent storm of rumors. Ybarra then follows up the tweet by saying "it's a rumor that I only play PC games!" Some have taken this to mean his initial tweet was never about the Switch rumors that have been dominating headlines recently, but to that I'd say this is a little too on the nose not to be slyly about the recent rumors. That, or it's a huge coincidence, which seems very likely. Whatever the case, Ybarra doesn't really provide much here anyway. And this makes sense, after all, someone in his position can't and doesn't comment on rumors. Anyway, as always, feel free to leave a comment letting us know what you think. What do Microsoft and Nintendo have up their sleeves?